It might seem like a horror movie cliché, a monster that follows you wherever you go, but did you know that your higher education debts under the Higher Education Loan program (HELP), Trade Support Loan (TSL) or the Higher Education Contribution Scheme (HECS) debts follow you wherever you go in the world? Prior to 2017, individuals could incur these higher education debts and move overseas with no repayment obligations. 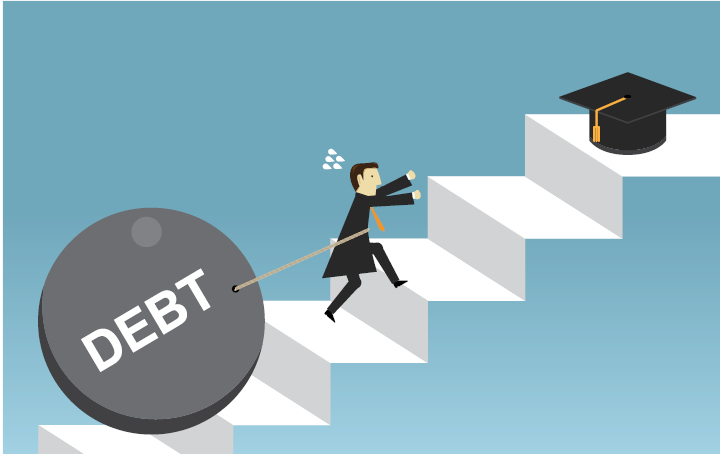 However, these debts are now required to be repaid regardless of where you are in the world, as long as your worldwide income is over a certain threshold. This applies regardless of whether your debt was incurred before or after 2017. As long as you have a higher education debt to the Commonwealth of Australia, you are required to repay the debt regardless of where you reside. If you have a higher education debt and plan on going overseas, you will need to update your contact details and submit an “overseas travel notification” if you intend to go overseas for 183 days or more in any 12 months. The 183 days is counted cumulatively and does not have to be taken all at the same time. Once you’ve submitted the notification and have moved overseas, or if you’re already living overseas and have a HELP, HECS or TSL debt, the next step is to report your worldwide income to ATO every year through an Australian tax return. Lodgements are usually due by 31 October each year, but it may be extended if you use a tax agent. For the 2018-19 year, your worldwide income will need to exceed $51,957 before the ATO will raise a compulsory repayment (overseas levy) in relation to your higher education debt. The repayment rate depends on how much worldwide income you earn and range from 4% to 8%. For the 2018-19 year, if your worldwide income is at or below $12,989 you do not have to report your worldwide income but you will need to lodge a “non-lodgement advice form” to notify the ATO of your situation. If you find yourself in financial hardship while overseas and cannot afford the compulsory repayment even though you earn above the minimum repayment threshold, you can apply to the ATO to defer the payment. Remember, you have options when you report your worldwide income to the ATO, you can choose between one of three assessment methods that work the best with your situation, the self-assessment method, the overseas assessment method, or the comprehensive tax-based assessment method. If it all seems too complicated you can always reduce your debt before you head overseas by making voluntary repayments. Contact us today if you would like some help.